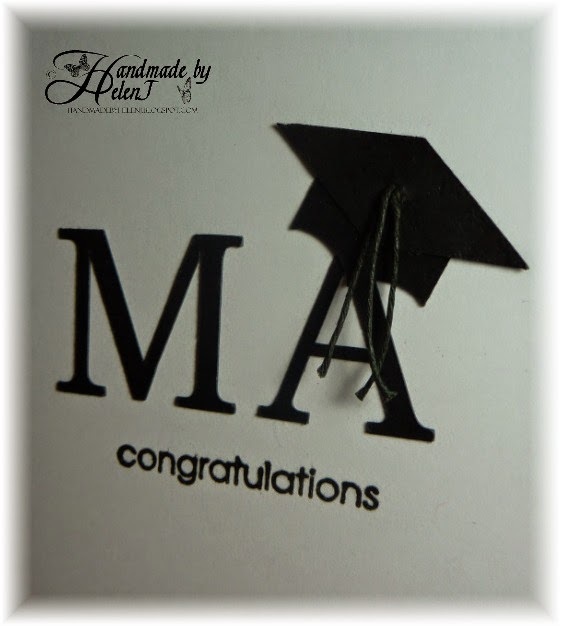 Handmade by Helen J: Congratulations MA! This was also one of those rare cards which turned out exactly as I envisaged it! I "drew" the mortar board in the Ecal software then cut it & the letters out on my Sizzix Eclips then stamped the "congratulations" in Versafine Onyx Black, going over the letters with Wink of Stella to add a tiny bit of glitz which I couldn't manage to capture in either photograph. The tassels were simply made from black twine. I'm entering this into the 200th challenge over at Less is More. This is so clever! I love how card-makers can personalise cards to suit the occasion. Fab job! this is a super clever design and a great one for our special challenge. Superb achievement and I'm sure the recipient will love it. 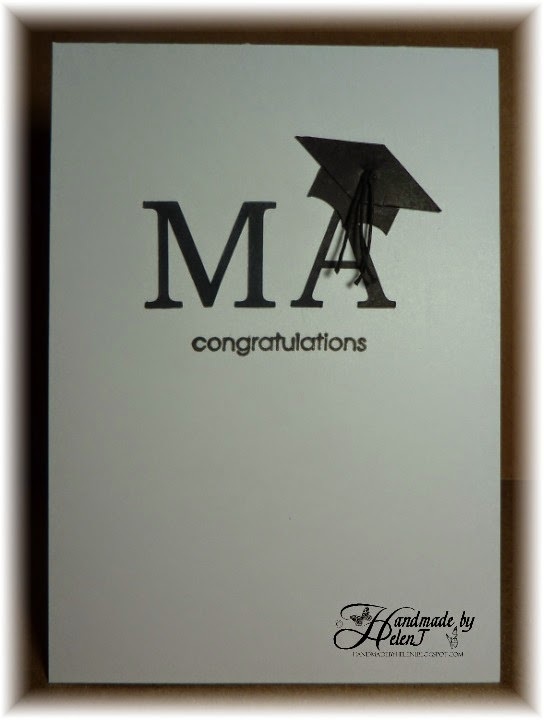 This is a great design, perfectly executed... terrific card and perfect for the purpose... a decided cause for celebration. Thanks so much for joining is with our 200th celebratory challenge.